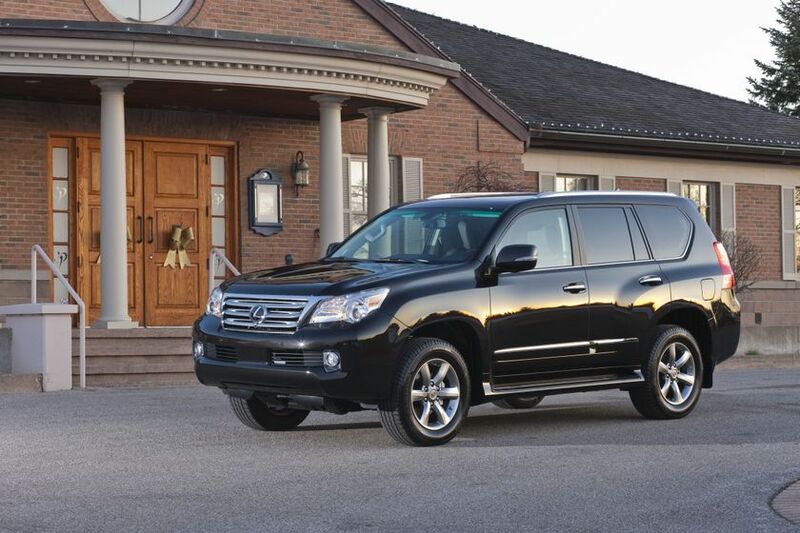 (TORONTO) – High luxury, high power and high performance. 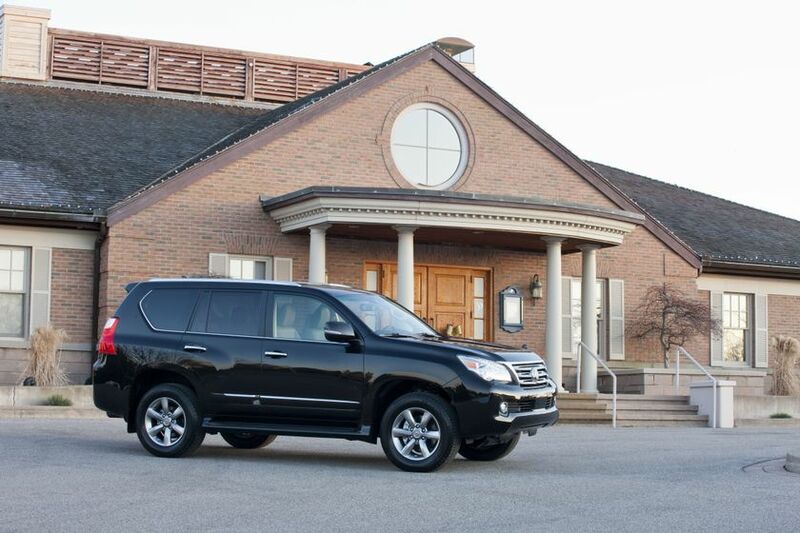 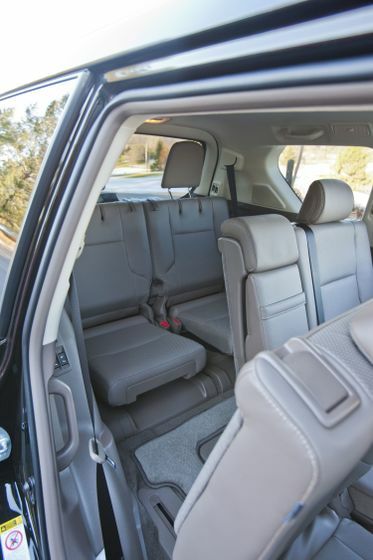 The 2012 Lexus GX 460 is designed and engineered to convey up to seven people virtually anywhere, any time – on road or off, and in all weather – in unsurpassed style, comfort and safety. 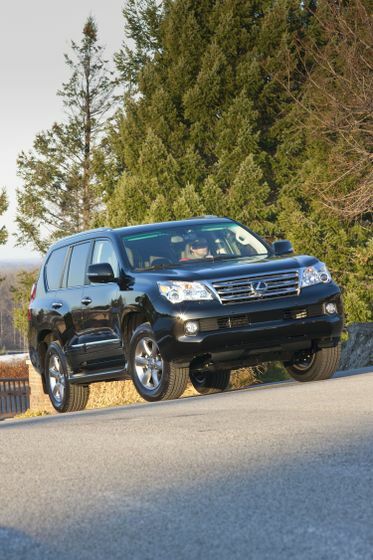 The GX 460’s beautifully finished body and civilized road manners are matched to a rugged body-on-frame construction and advanced handing and control technologies to tame the most formidable terrain, making it the ideal go-anywhere and do anything mid-size luxury SUV for adventurous Canadians. 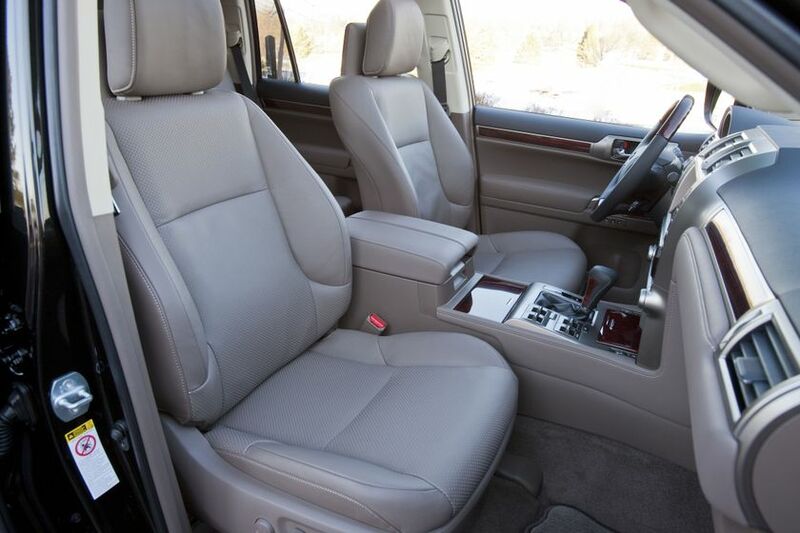 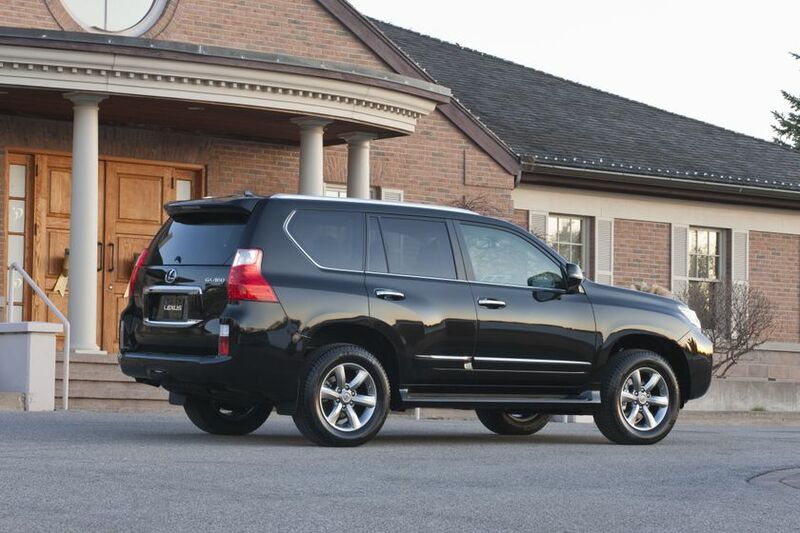 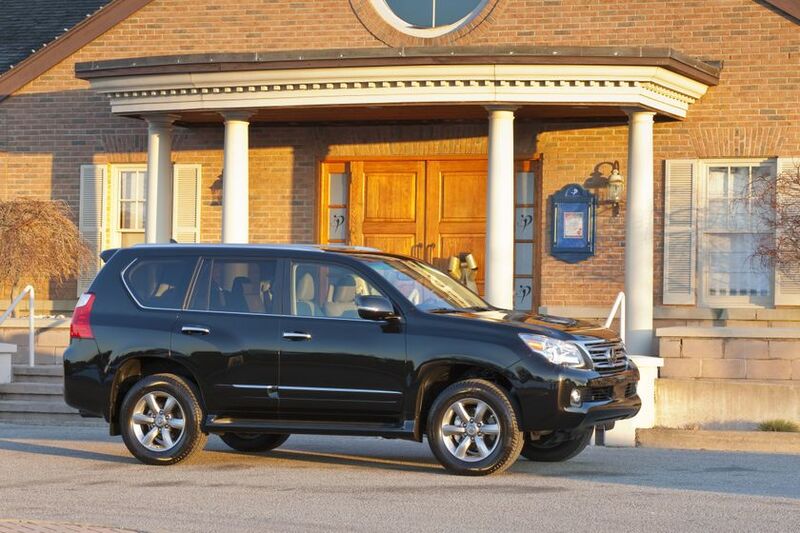 The 2012 GX 460 Ultra Premium model now features unique alloy wheels and a cooled console box. 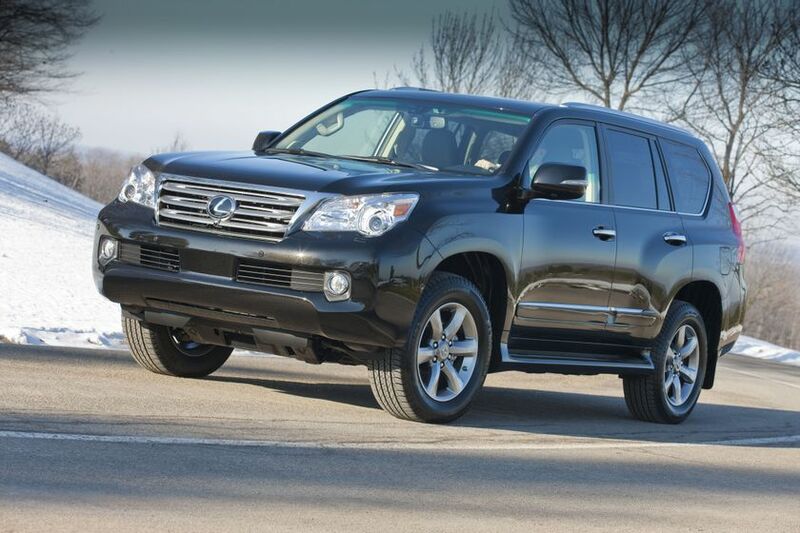 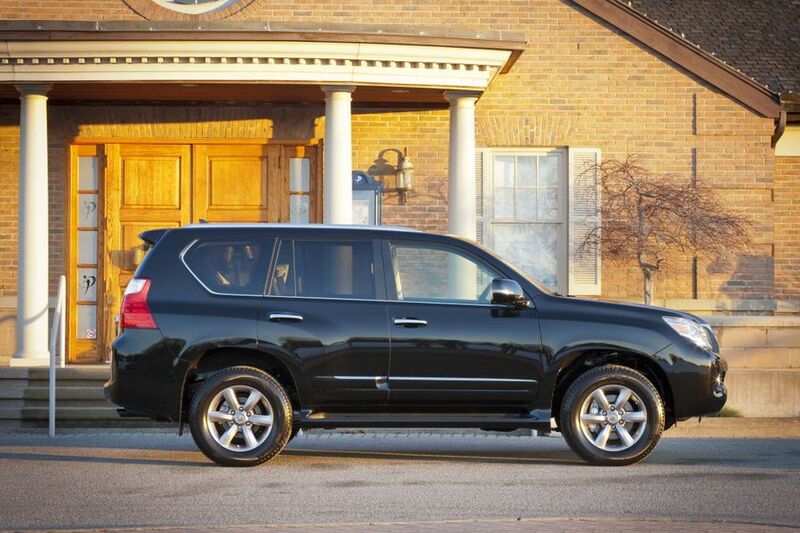 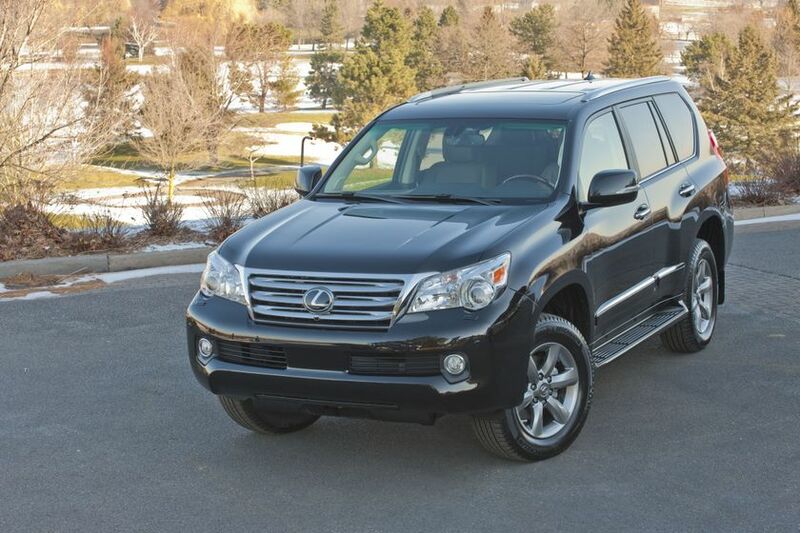 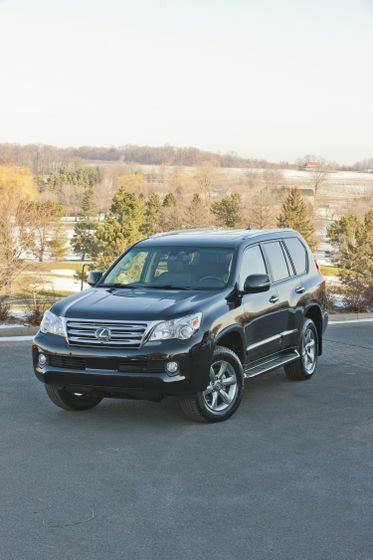 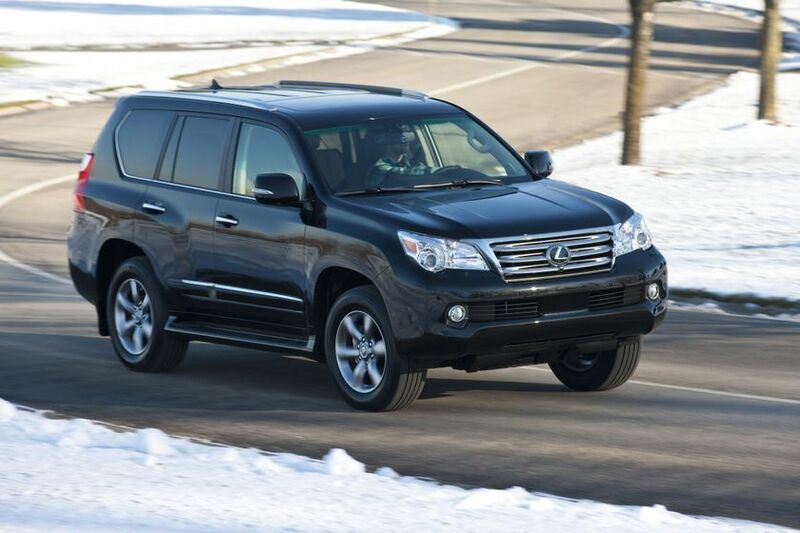 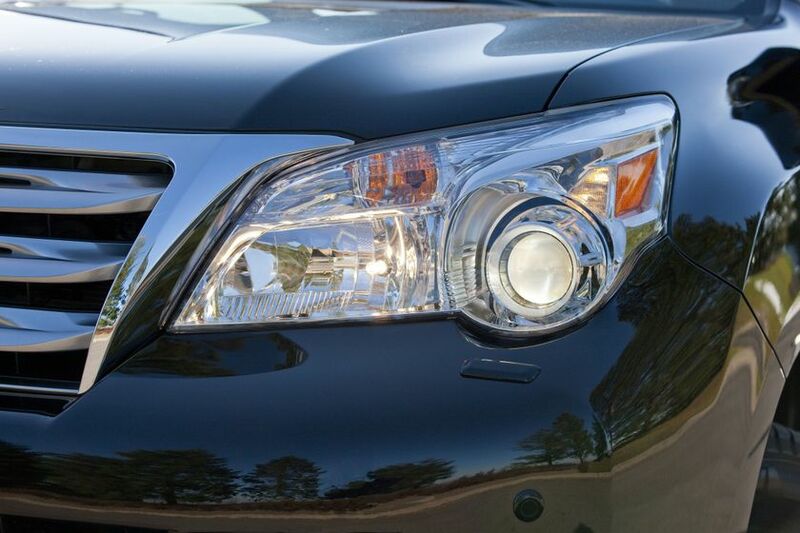 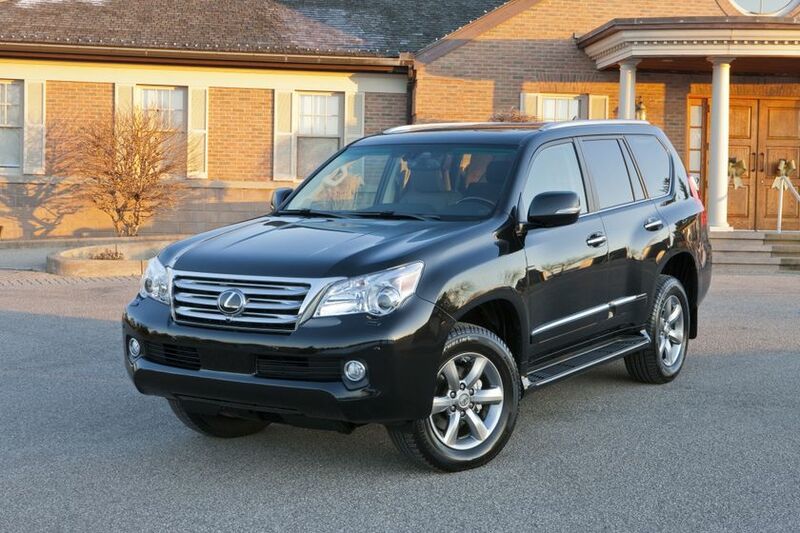 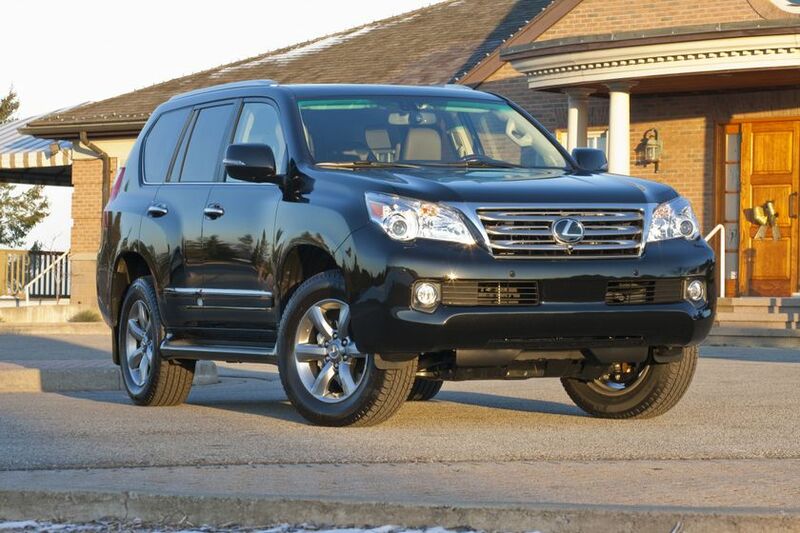 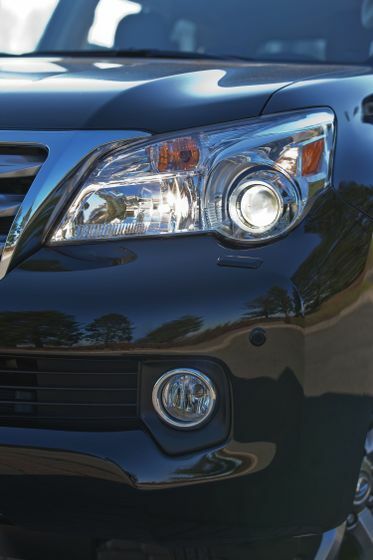 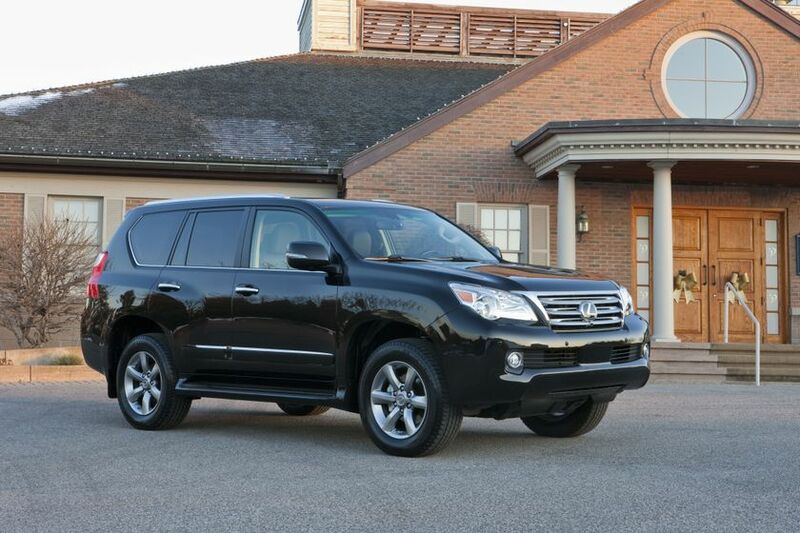 The 2012 Lexus GX 460 features a 4.6L V8 that provides outstanding power and responsive performance. 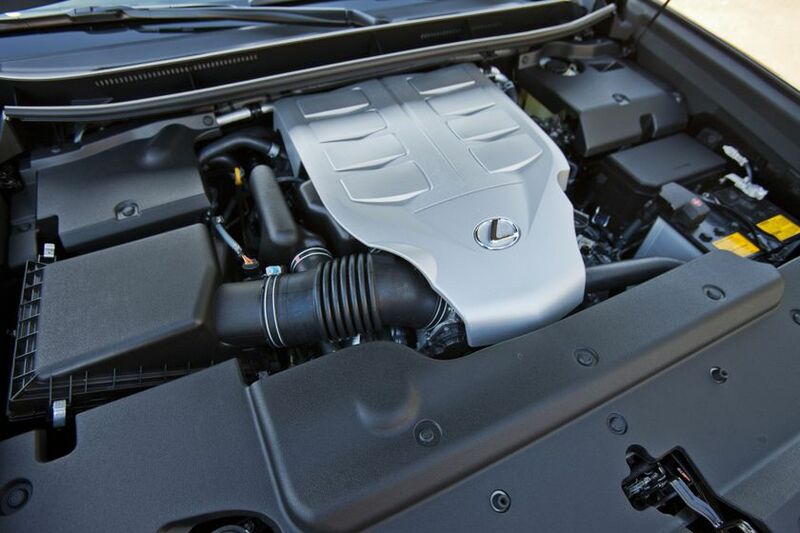 This engine is mated to a six-speed Super Electronically Controlled automatic transmission with gate type shifter, giving the GX 460 quick, smooth acceleration while delivering impressive fuel efficiency. 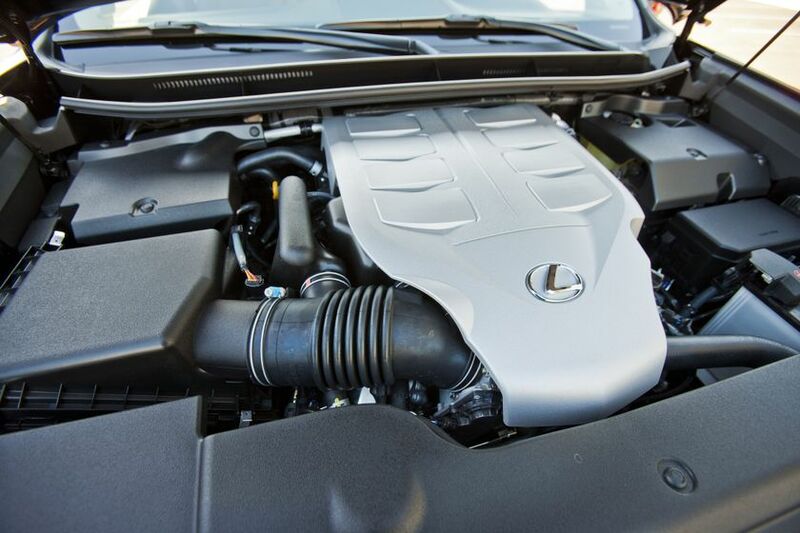 The V8 features Dual Variable Valve Timing with intelligence (Dual VVT-i), Sequential Multiport Electronic Fuel Injection, an Electronic Throttle Control System with intelligence (ETCS-i), an Acoustic Control Induction System and Cooled Exhaust Gas Recirculation System to boost overall engine performance and efficiency while minimizing emissions. 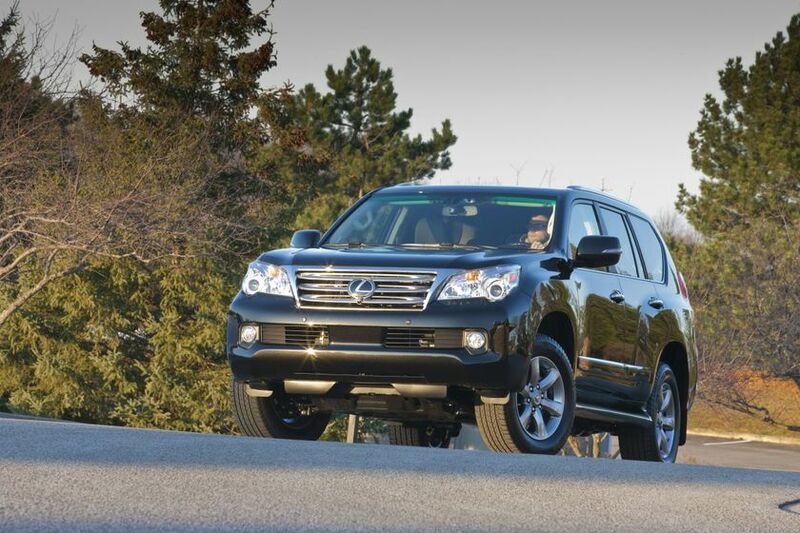 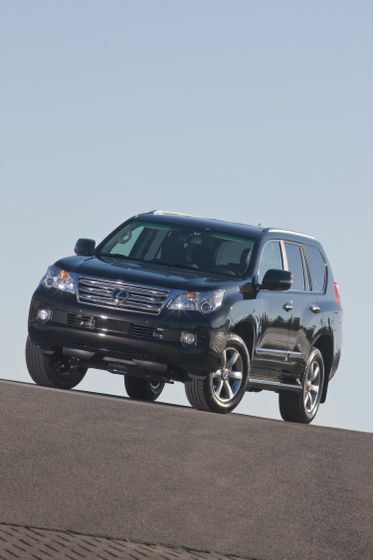 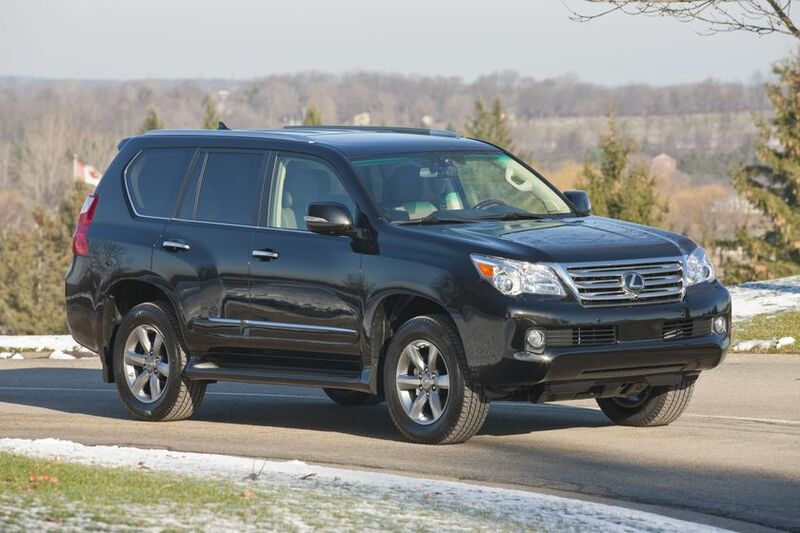 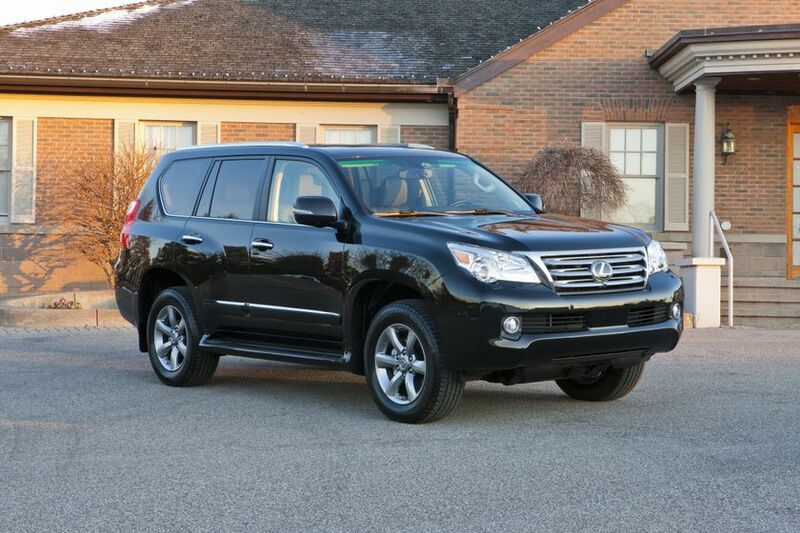 The 2012 GX 460 delivers a peak 301 horsepower and up to 329 lb-ft of torque, with a 6,500 lb towing rating. 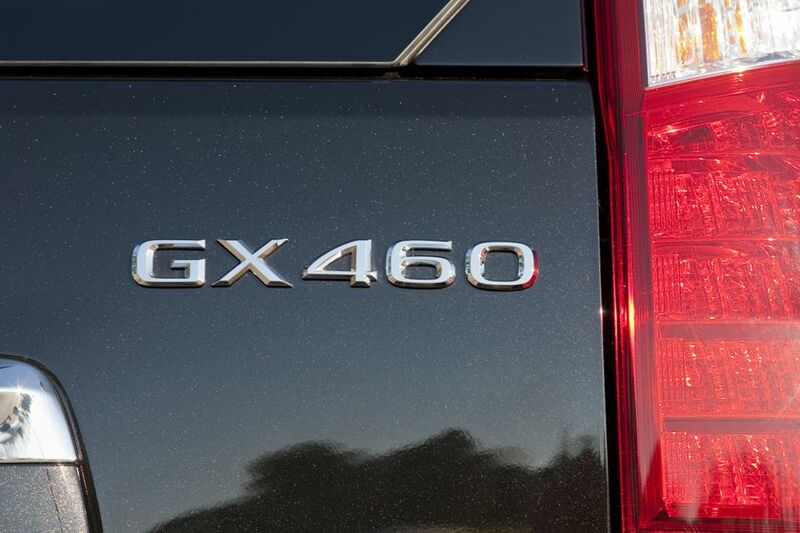 At the same time, the GX 460 achieves a combined city/highway fuel efficiency of 12.1L / 100 KM and a Tier 2 Bin 5 emissions rating. 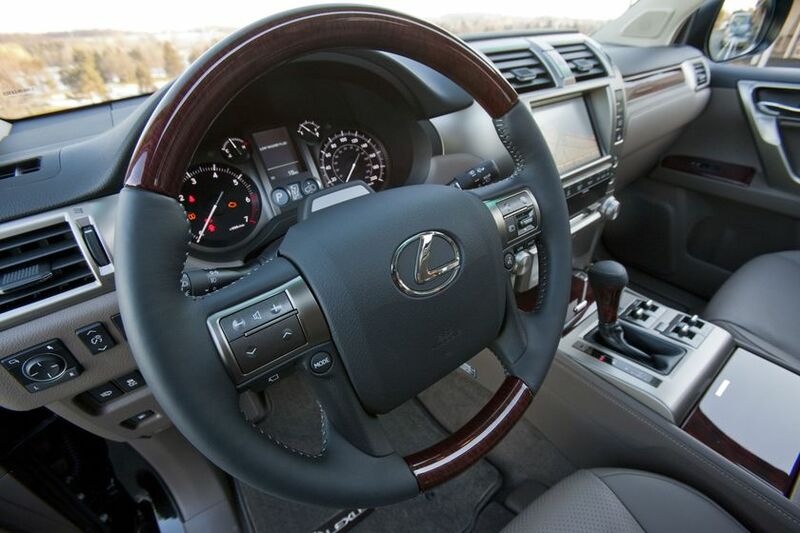 Lexus GX 460 drivers will be delighted in the responsive steering, the delightfully luxurious road manners, and go-anywhere confidence of full-time four wheel drive enhanced by leading Lexus handling and control technologies. 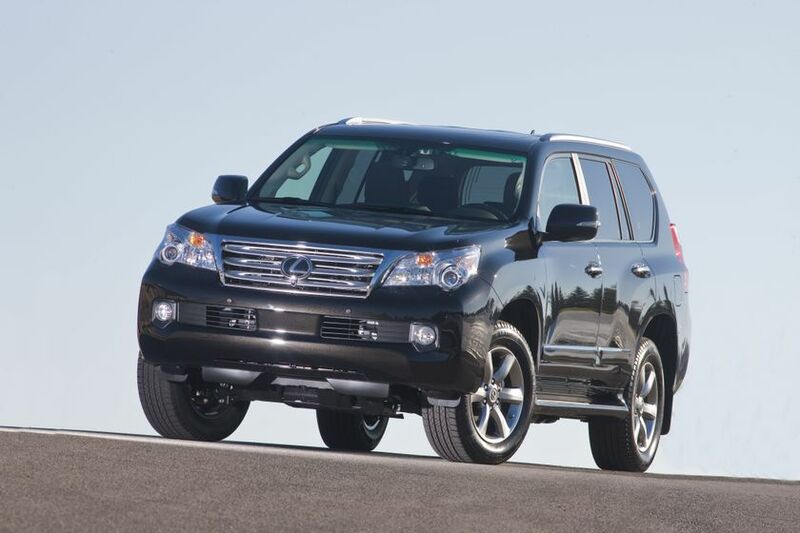 Every GX 460 is standard equipped with an independent double-wishbone style front suspension with coil springs, and a four-link rear suspension both enhanced with the Kinetic Dynamic Suspension System (KDSS) to deliver uncompromising on-road and off-road performance. 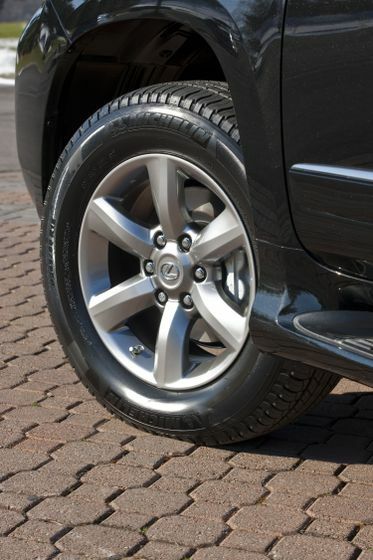 KDSS provides exceptional handling, stability and ride comfort on pavement, while helping to maximize traction and minimize tilt and roll when negotiating rugged or rocky terrain. 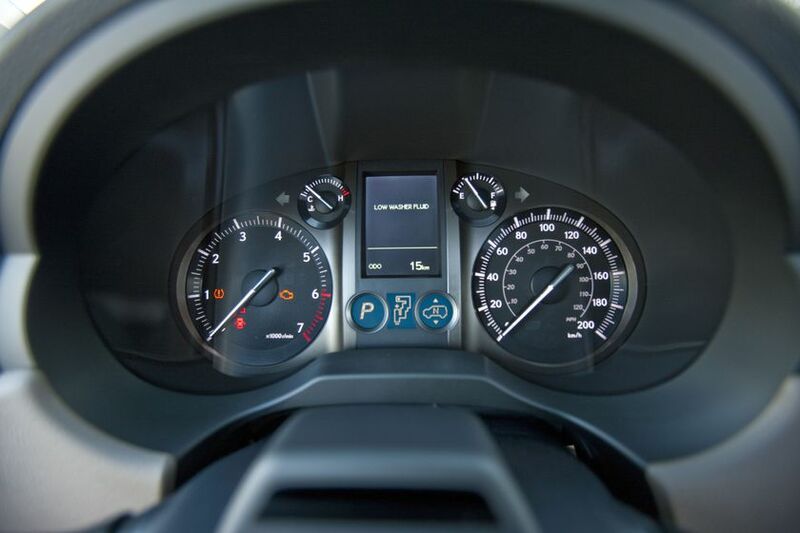 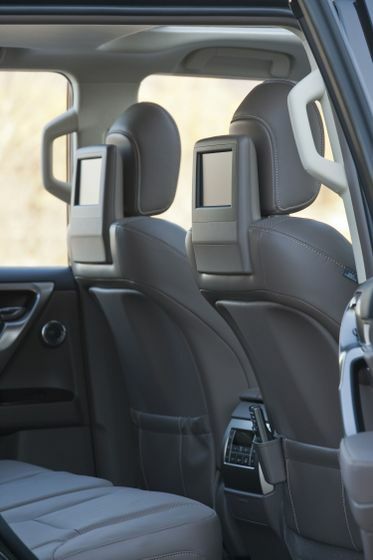 Additional standard technologies such as Hill Start Assist Control and Uphill/Downhill Shift Logic help smooth the ride when travelling hilly, winding roads, while the dual range full time four-wheel-drive allows the driver to select a low range for even more engine torque when required. 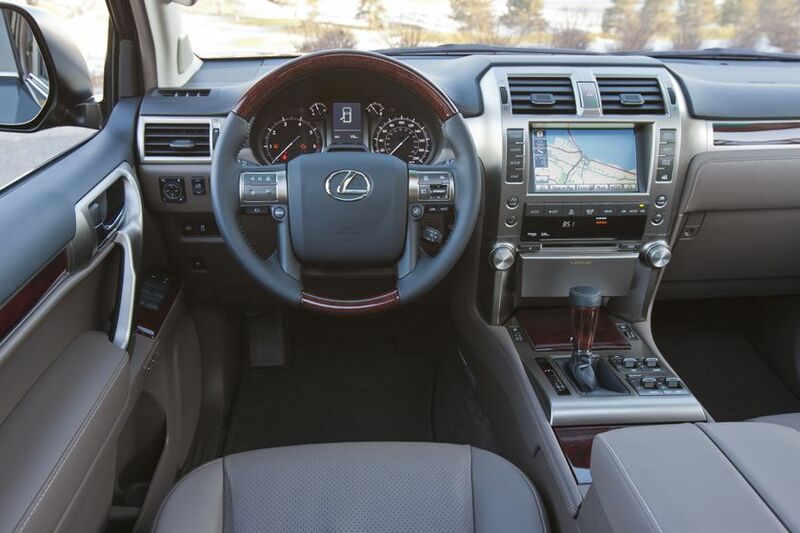 The 2012 Lexus GX 460 may be ordered with the Premium Package, which adds: three-zone independent automatic climate control; a 17-speaker, 330-watt Mark Levinson Premium Audio System with 7.1 channel surround sound speaker architecture; power retractable folding exterior mirrors; electrochromatic side view mirrors; a voice-activated hard disc based navigation system; a wood and leather wrapped steering wheel and shift knob; African Bubinga wood trim; Semi-aniline leather seat surfaces; and heated 2nd row outboard seats. 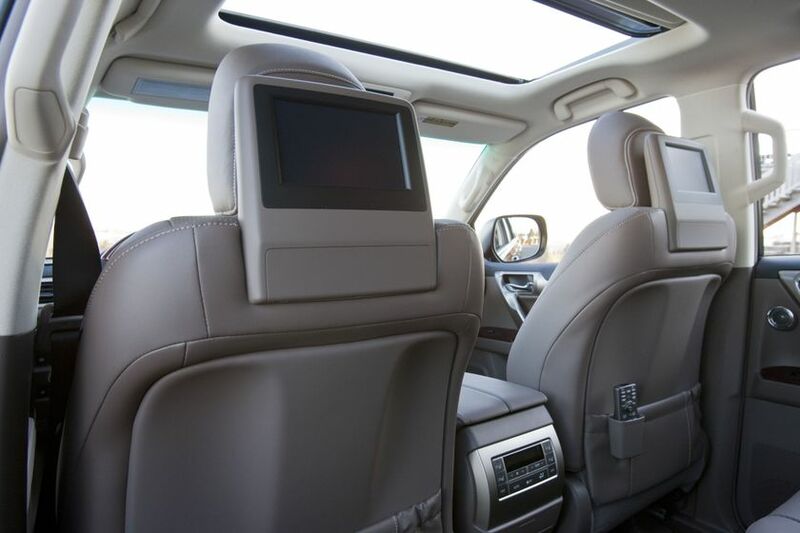 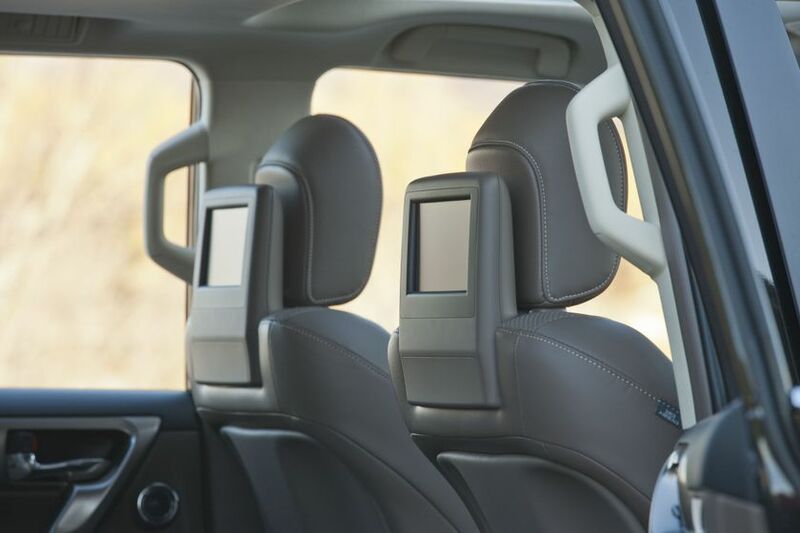 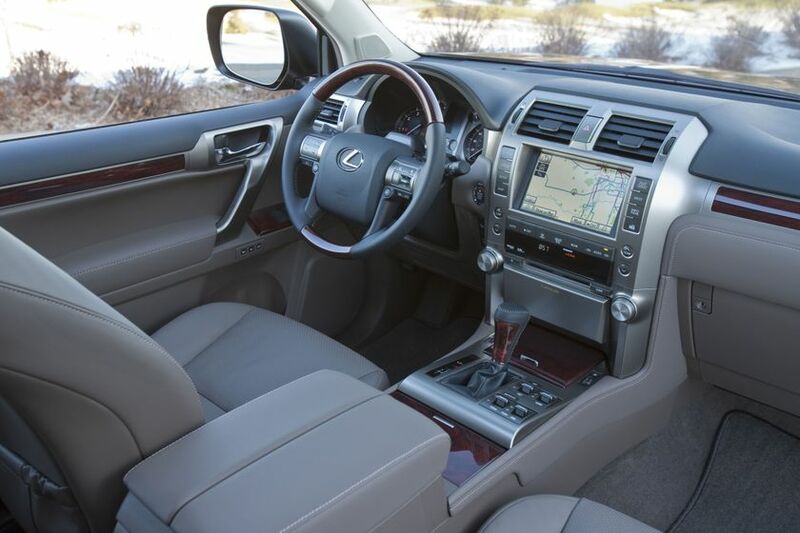 Guests may also order the 2012 Lexus GX 460 Ultra Premium model, which includes: a dual-screen rear seat DVD entertainment system; three-zone independent automatic climate control; a 17-speaker, 330-watt Mark Levinson Premium Audio System with 7.1 channel surround sound speaker architecture; a cooled console box; semi-aniline leather trimmed interior and seat surfaces; heated 2nd row outboard seats; a voice activated hard disc based navigation system; Wide-View front and side monitor system; African Bubinga wood trim; wood and leather wrapped shift knob and heated steering wheel; illuminated “Lexus” scuff plates; milliwave radar cruise control; 120-volt/400-watt power outlet; the Lexus Pre-Collision System, Lexus Driver Monitoring System, and Lane Departure Alert system; Unique alloy wheels; electrochromatic side view mirrors; power retractable folding exterior mirrors; body side cladding; and headlamp washers. 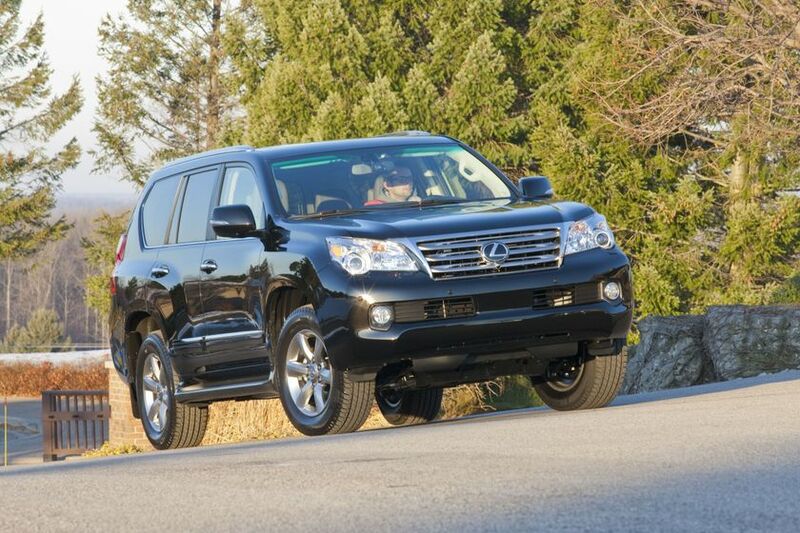 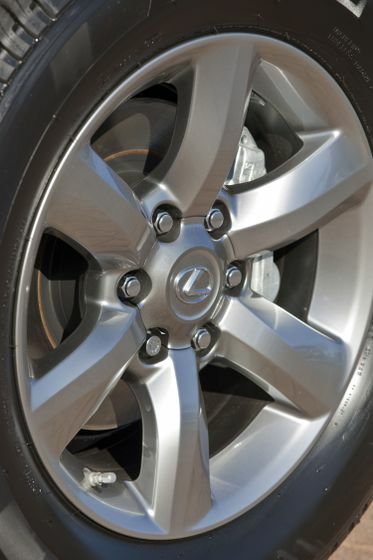 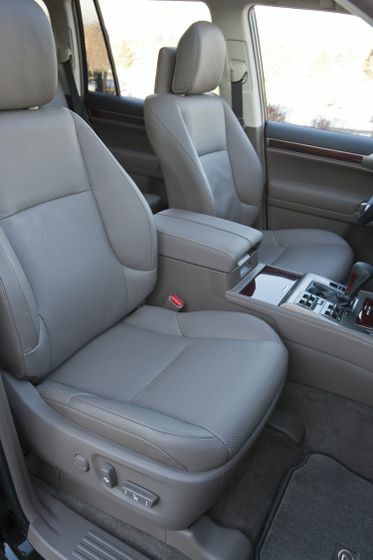 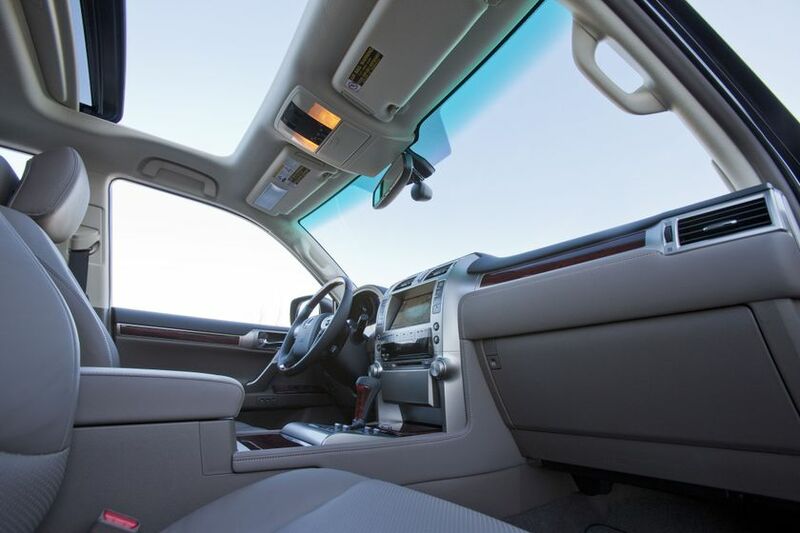 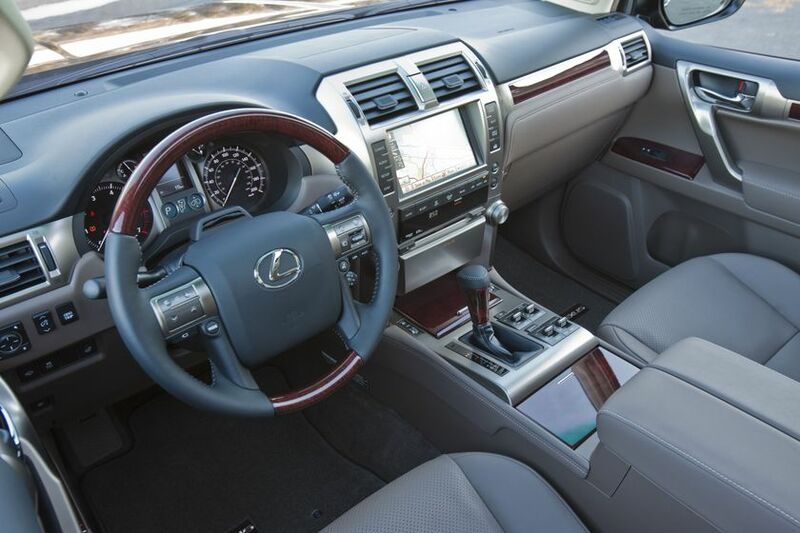 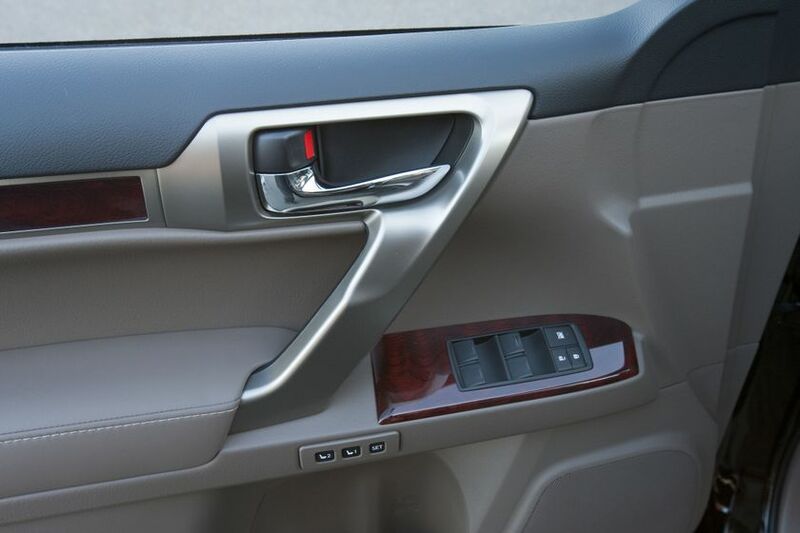 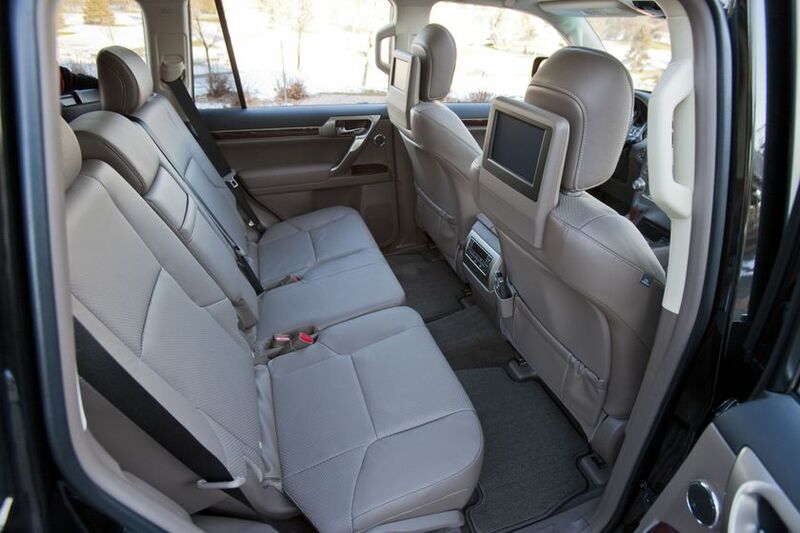 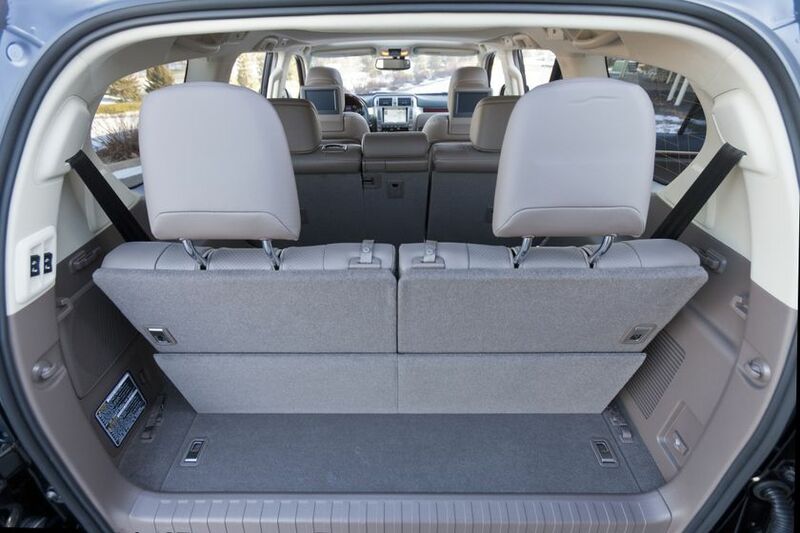 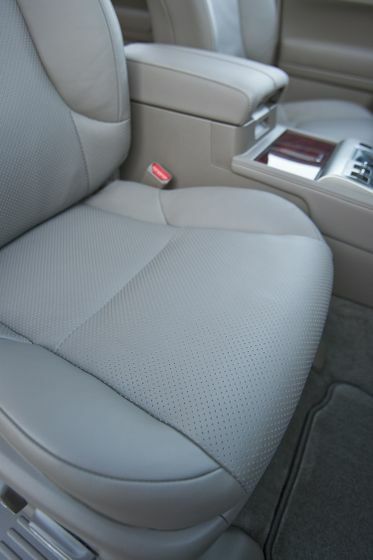 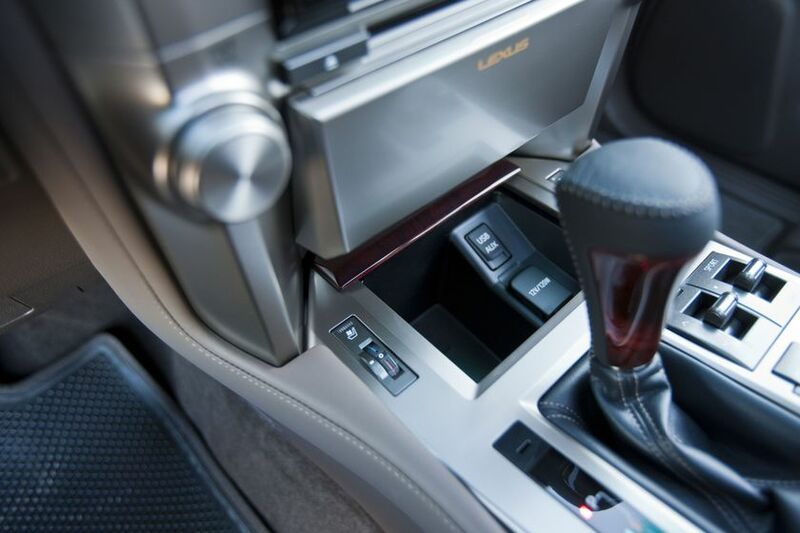 Guests may also personalize their 2012 Lexus GX 460 from a range of Lexus parts and accessories. 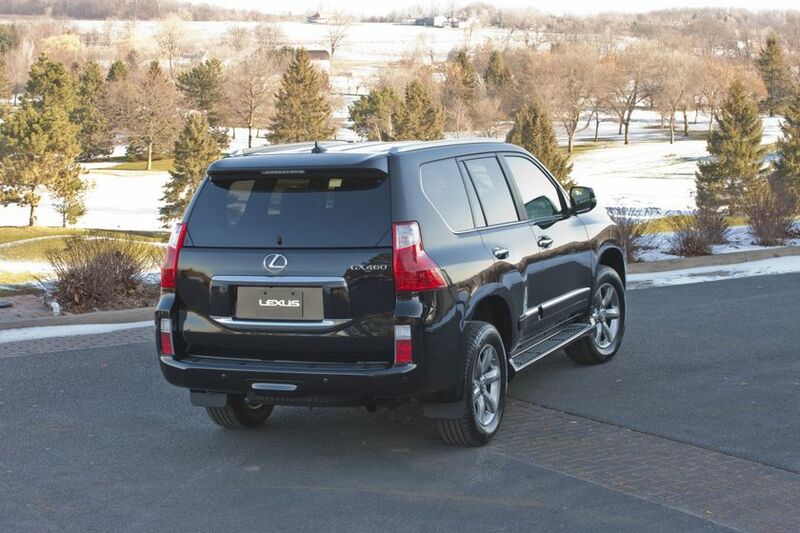 Consult the Lexus web site for the most up to date list of options by model. 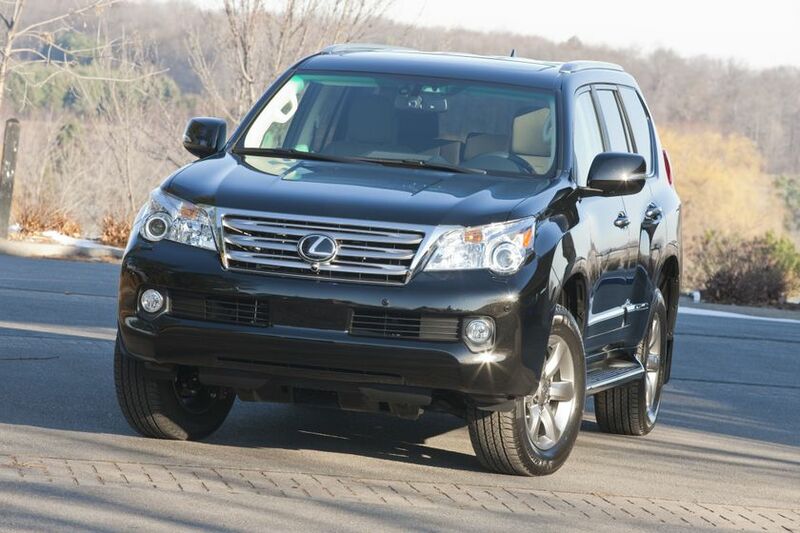 The 2012 Lexus GX 460 is now on sale at Canadian Lexus Dealers, with a manufacturer’s suggested retail price starting at $62,200 for the GX 460 and $77,800 for the GX 460 Ultra Premium.